Home etv. Mbulelo Ndlazilwana Mbulelo Ndlazilwana Not Charged In Brothel Scandal. What's next ? Mbulelo Ndlazilwana Not Charged In Brothel Scandal. What's next ? 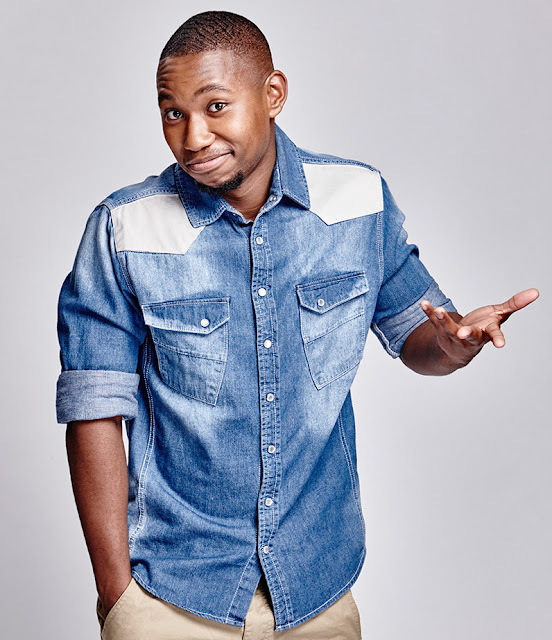 Scandal actor Mbulelo Ndlazilwana, who was arrested at an alleged brothel in Springs last week, has been released without charge. Prosecutors in the case decided to only charge and remand in custody five of the 17 arrested people. The five people, who were arrested with the actor, will remain in jail pending their court appearance on June 6th. With Ndlazilwana now a free man, what impact will this incident have on his career? To say this incident has besmirched Ndlazilwana's image would be an understatement. The stain this has left on his reputation will live with him for as long as he is in the public eye but he will survive the scorn. Ndlazilwana is not a human trafficker but that does not completely relinquish him of all culpability on this in the court of public opinion. Afterall, he was arrested in an establishment that was a den of crime — a crime of the most heinous sort. It is not about passing judgement on him but to simply just dismiss this as an act of foolishness from a young man would defeat the purpose of every outcry and hashtag bandied about where crimes against women are concerned. Men who go to brothels to buy prostitutes (or even just hang there and buy cigarretes) contribute to the commercialisation of the exploitation of women. Basically what I am saying is; THIS IS STILL BAD FOR HIM!! The only recourse for him, I suppose, would be the fact that he is still young. He is only 21years old so in a way he can still getaway with his actions being attributed to the folly of youth by some. It would be remiss though to assume that he can just go back to work and everything will be forgotten. I would not be surprised if Ochre Media and etv terminate his contract given how the issue of women abuse is a hot button one right now. On the other hand, we are a forgiving nation and this could actually be an opportunity for the nation to have an honest conversation about how prostitution aides the abuse and trafficking of women. There are many celebrities who have been embroiled in some messy real life drama of their own and many of them have survived the shame and are ok now. This is a tough one. Should a young man be punished forever for something like this? Even asking myself this question makes me feel uneasy and uncomfortable. He is not charged with any crime but he was arrested at this alleged brothel. There is something seedy and lascivious about that. I don't know, I will leave that to you guys because I am struggling with this one and it has nothing to do with the fact that he is a celebrity and think for me it's his age. But should he get a pass for being young and stupid?! As for his brand; yeah he might keep his job if his employers feel in a few months people will have moved on and forgotten about this but I don't see brands running to put him in any campaigns. His young stud image is officially tarnished. It is really unfortunate when things like these happen. I would like to hear your views on this though so hit me up on Twitter and Facebook, I am @philmphela. - He was arrested and not charged, should we just leave him be? - This incident has ruined his reputation, SCANDAL & etv should fire him? - He learned his lesson let's forgive and forget? What is Lerato Kganyago's sin? Why Is Samkelo Ndlovu So Desperate To Be Noticed? Etv Stars Head To Port Elizabeth This Weekend.